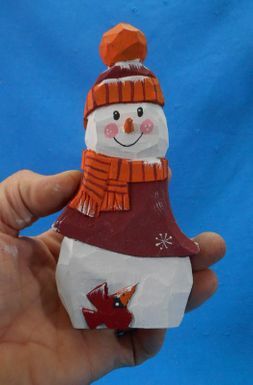 This hand carved Christmas snowman is sure to put a smile on someones face this Christmas. Hand painted and signed by artist Robert Francis. 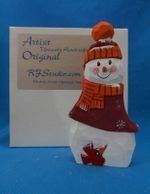 Carved from basswood it is truly a one of a kind gift idea.